Are you tying the knot? ForeverFiances is your source for all wedding stationery including save the dates, invitations, menus, programs, place cards, thank you notes and more! We love making stationery, it is our true passion. Even more, we love to share in your special day and help you create the perfect invitations for your wedding, a day you will never forget. Read our latest review by another happy customer left on The Knot. The Knot is a collection of everything wedding related! It is a compilation of inspirations, planning, vendors, wedding websites and more. Planning 101 will give you inspiration from real weddings, showcasing pictures, venues, wedding dresses, and invitations like our unique invites from ForeverFiances! You can find catering services, photographers, jewelry (engagement and wedding rings) and anything you need to prepare for your wedding. 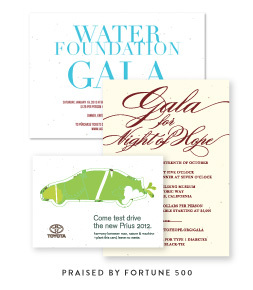 Beautiful invitations that are good for the earth too! "We were so happy to find ForeverFiance's and their sustainable invitations. 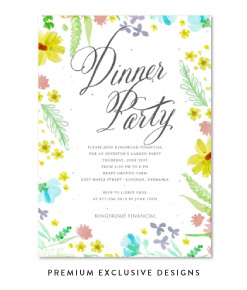 They make beautiful, unique, plantable invitations, and also use recycled paper. Their commitment to sustainability is absolutely wonderful. The process of creating our invitations, from receiving samples, creating proofs, and placing our final order, was easy and convenient. They were very professional and responsive. Our invitations arrived yesterday and they are beautiful. We also purchased matching thank you cards on seeded paper, and we keep getting compliments about them! We would definitely recommend them. "